Run wild, volunteer or party down. 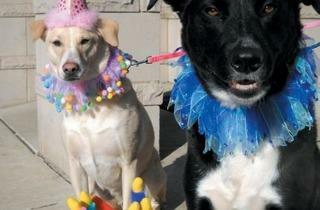 Guinness and Clover at a Dog a Holics birthday party. 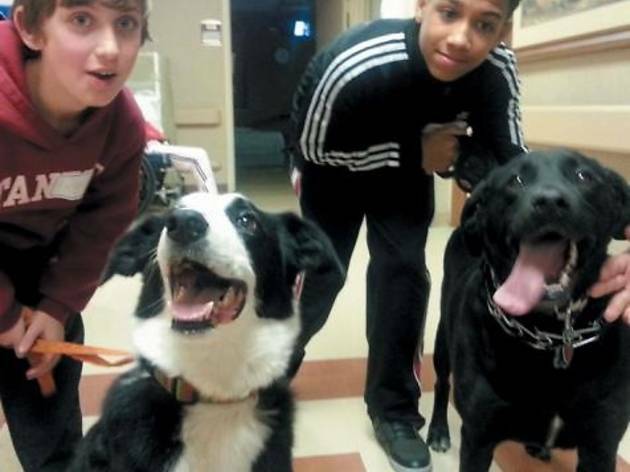 Photo: Chicago CaresYoung volunteers visit the elderly with their pets through Chicago Cares. 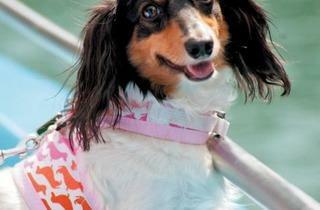 Photo: Mercury Canine CruiseSalty dogs are welcome aboard Mercury's Canine Cruise. 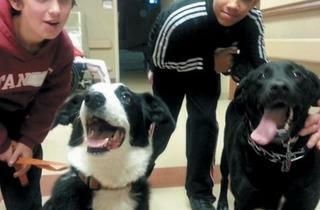 At the K9 Fit Club, the whole gang can get in shape at Dog Fit Dancing class. Dogs learn choreographed dance moves alongside their humans, so the routine is part agility training, part obedience training and part family fun. Tricia Montgomery, K9 Fit’s founder as well as the executive director for the Chicago Veterinary Medical Association, developed the canine-human fitness club after taking off more than 130 pounds by exercising with her dog Louie. Look for an upcoming reality show on the club to be released next year, executive produced by Rachael Ray. Required membership fee is $10 per month with a six-month minimum; classes $20. 33 S Garfield St, Hinsdale; 1133 W Fulton Market, first floor (630-908-7413). Lake Forest’s dog-friendly area is a fully fenced-in 44-acre space broken down into smaller enclosed environments. Join man’s best friend for some fresh air as he gallops freely through fields, wades in a swimming pond, and pounces down the stream and trails. Annual required permits are $120, Lake County residents $44. Daily permits, which can be purchased at a self-pay station in the parking lot, are $10, residents $5. Discounts for additional dogs. Waukegan Rd (Route 43) south of Old Mill Rd and north of Half Day Rd (Route 22), Lake Forest (847-367-6640, lcfpd.org). Deck your human and canine kids in black and white to show your Sox pride on Chicago White Sox Dog Days, April 23 (vs. Indians) or September 16 (vs. Twins), when you can all sit together in the outfield bleachers. 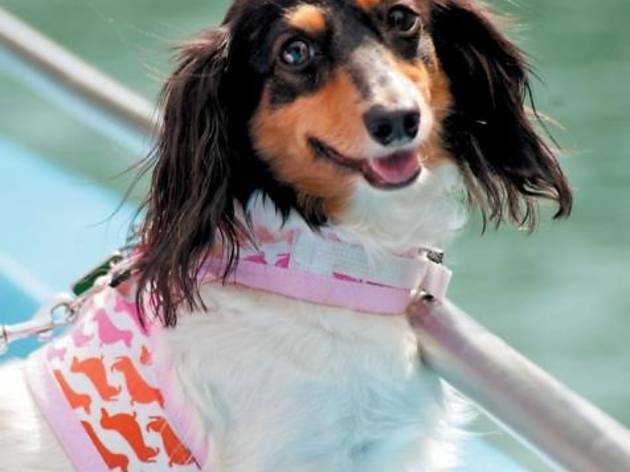 Pooches get treated to doggy bags, canine activities and—for the first 300 to sign up—a pre-game strut across the field. Contact Mary Weiss (mweiss@chisox.com, 312-674-5244, chicago.whitesox.mlb.com) for required pre-registration. This annual fund-raiser for the Anti-Cruelty Society keeps the whole pack happy with a canine obstacle course, on-site pet psychic, pet massages, dog tattoos, nail-clipping spa, souvenir photo booth and product samples. 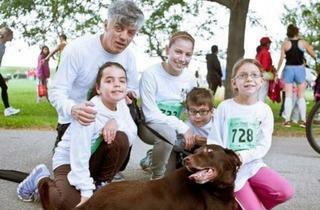 The main event, however, is the 5K run (humans only) and 5K walk (for humans with or without dogs). May 4, 9am–noon; $35, kids ages 3–15 $15, kids under 3 free. Montrose Harbor, Montrose Ave at the lakefront (312-644-8338, barkinthepark.org). 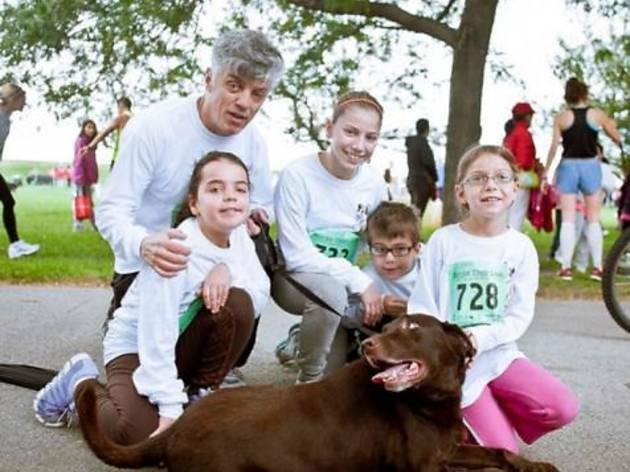 Families with kids ten and older and their well-behaved dogs, cats and even birds and rabbits can volunteer together for Chicago Cares’ senior companionship programs. You’ll visit elderly residents at Covenant Home near Lincoln Square who may need help managing their cognitive disabilities. Families with kids ten and up can also sign up to visit Covenant’s Selfhelp Home, where human and animal volunteers visit with residents in common areas. Contact Chicago Cares to sign up (312-780-0800, chicagocares.org). 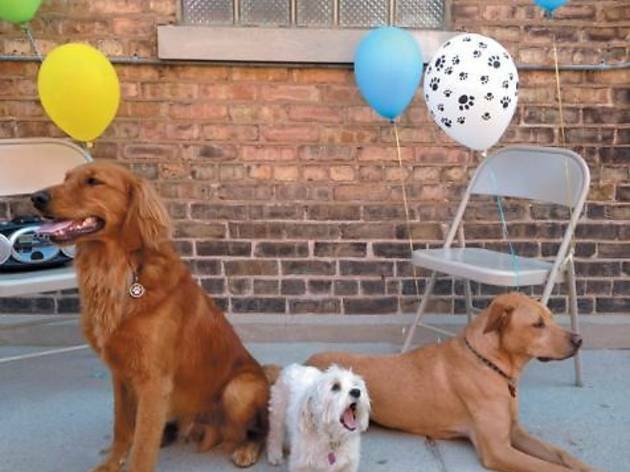 Wrigleyville’s Dog-a-holics hosts doggy fetes to celebrate birthdays, adoptions, “bark mitzvahs” and other occasions. 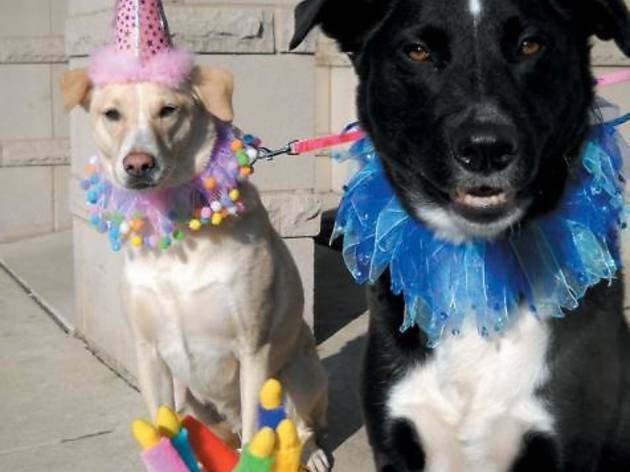 Packages, which start at $175, include all the trappings of a solid kids’ birthday soiree—only in dog form: access to an outdoor play yard and a private party room, themed decorations, doggy ice cream, a personalized puppy sheet cake and goody bags, plus contests and games led by staffers. Of course, humans are welcome, too. 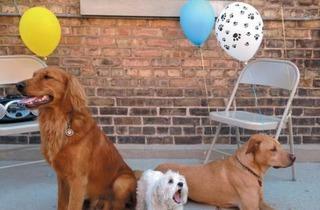 3608 N Southport Ave (773-857-7600, dog-a-holics.com).